Happy New Year! I was so busy baking before Christmas that I didn’t get around to posting anything, and then I was off to New Orleans! 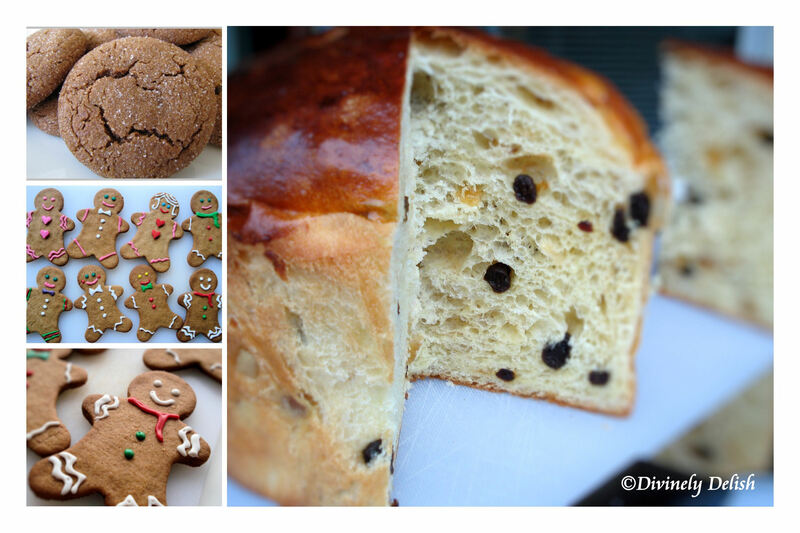 I’ll be writing a post about New Orleans soon, but let me share with you some pictures of my Christmas baking. I made panettone, which is a slightly sweet Italian bread, with raisins and lemon and orange peel. I can’t tell you how much I love panettone! You can easily find it in Italian grocery stores during Christmas time, but there’s nothing like freshly baked panettone. I gave some away as gifts, and froze a loaf for myself so I could still enjoy it after the holiday season! I also made gingerbread men and the best chewy ginger cookies with crystallized ginger! I hope everyone had a fabulous Christmas and Happy 2014!